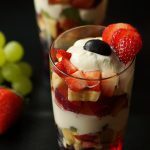 Mixed Yogurt and Fruit Parfait Recipe – This is an easy and healthy breakfast / dessert recipe. You can use any available fruits such as pineapple, apple, berries, bananas, mango, etc. to make this healthy and satisfying breakfast parfait. You can also add a handful of nuts or seeds to this recipe. If you are looking for more healthy recipes then do check South Indian Curd Quinoa, Foxtail Millet Pongal, Lemon Quinoa, Methi Paratha, Methi Millet Pulao, Methi Jowar Roti and Ragi Coconut Burfi. How to make Mixed Fruit Yogurt Parfait Recipe. Simple and healthy breakfast recipe with fruits and yogurt. In a mixing bowl, combine the yogurt, vanilla essence and sugar / honey and keep it aside. Wash, peel and chop the fruits into pieces. To assemble parfaits, layer some prepared yogurt into the serving glass. 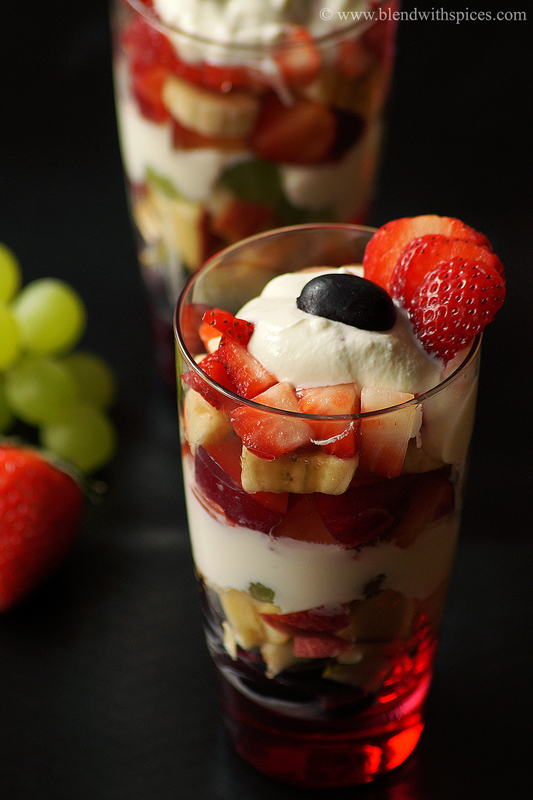 Top the yogurt layer with some chopped fruits. Repeat the layers until glasses are filled to the top. You can replace the sugar with honey or maple syrup. 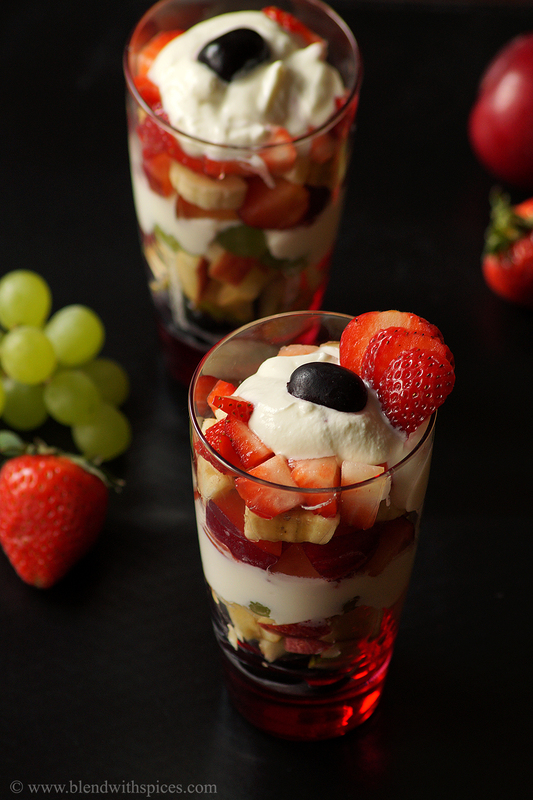 You can use any seasonal fruits to make this healthy parfait recipe.